Achieve Your Goals, Create Your Legacy! As a second-generation family business, One Strategic Capital continues to build long-term relationships with corporations, individuals and families, and trusted advisors. Our mission is to provide financial advice in a client first approach based on customized solutions to retirement planning, taxation, wealth transfer and risk management. We believe education and financial fitness are key! Whether you are trying to retain top talent, never outlive your nest egg, or leave a legacy for your heirs, we are uniquely positioned with over 75 years of combined experience. From the complex to the simple, allow us to understand your dreams and goals to create a financial plan that creates and protects your future! 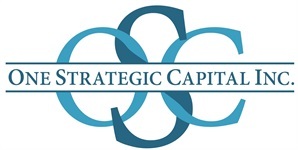 One Strategic Capital, Inc. is a fee based, comprehensive financial advisory firm. From corporate retirement plans, wealth management, employee education services, and insurance advisory we have a deep and diverse network of accounting, trust, third-party administration and legal professionals to guide you to success. Built one relationship at a time over nearly a half century, we are honored that many of our clients, their children or successors, and corporations continue to rely on us to help them create financial structures that manage the accumulation, protection and transfer of both family and corporate wealth. Are you a trusted advisor? Inquire to learn how our proprietary process and expertise can bring a team-based approach to your client's objectives.